This is a definite upgrade from the iron I remember my mom ironing clothes with when I was a kid back in the 90’s. I still remember the smell the steam had when she would sit it up after finishing a section. I personally loved the smell, but I’m pretty sure that iron didn’t have any safety features because my mom would always just tell me to stay away from it so it wouldn’t burn me or fall on my foot. Not only do I love irons, I also love how warm my clothes were during the winter months after they were ironed. With this particular iron in your article, it’s nice to know that they’re still around and that companies realize they need to have safety features. It makes me realize that maybe some companies actually do care about the well-being of consumers and their families. My mom would love this! Thank you for your comments and a sweet trip down memory lane! 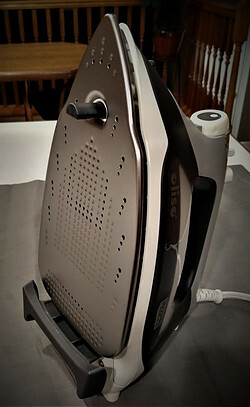 When i discovered this iron I was amazed that they were able to develop this technology yet at the same time I also question why hadn’t they done this sooner? I would say the weight is definitely a positive factor, as well as the overall ergonomic design. When I’m making a quilt I can sometimes spend a lot of time ironing and haven’t noticed the soreness (and sometimes numbness and tingling in my hand or fingers) as I have experienced with my older iron. Great review Susan! I think that every house should have this iron primarily because it is safe for usage which is most important for me. New Year is coming and I think that this would be a great present for my mom, she have one very old iron that is not that good enough. As for the price, it is not expensive because it has so many nice and helpful features. Thank you for your comments! It is a nice iron and I suppose you do get what you pay for however, it would be nice to see a price drop. Something to keep an eye out for as it get closer to Christmas! This is wonderful, especially the new security feature that turns off the iron when the touch is missing (normally in vertical position). We all have listened different news of iron forgotten in the plug, which have damaged the home (in fire) and set in risk the neighbor one. Thus this feature is more than enough to buy this new technology of iron. Thanks for the post. Your statement about fire hazards and the safety feature is a good point and something to remember when looking at the price tag. When comparing it to the potential cost of having a fire in your home, it doesn’t seem so expensive! I like this iron box ,I have lots of burnt clothes from forgetting to move the iron box when distracted into multitasking . 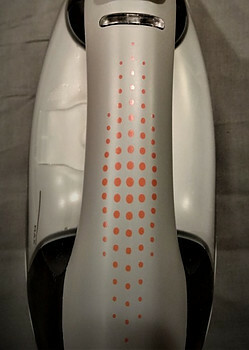 I like that it has a mechanism to keep it from scorching clothes,I also like the fact that they keyed in all the steam issues so it still works like an ordinary steam iron ,I would like to find out how much it costs in comparison to regularly iron boxes ? thanks for sharing. I do have to confess that this iron has me a little spoiled. Just yesterday I was using a “regular” iron at a quilt group and had to keep reminding myself to turn the iron into the vertical position. I’m so used to just letting go of the handle and iron automatically raising up off the surface. The link I’ve provided takes you to the Oliso website and will show the price there. However, I would keep an eye out for discounts. The closer it gets to Christmas the greater the potential for a drop in the price! Hello there. Hope you are having a good time with the season and happy Thanksgiving to you. 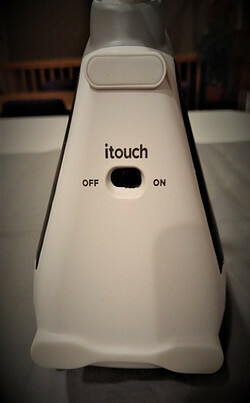 Thank you for sharing this useful information regarding the Oliso iTouch iron. I think this product is awesome. In my years of ironing experience, I have not seen any iron with such a feature. To me, the cons are not issues at all. In all reality, the only significant con (which I didn’t mention in the post) is the price but even that outweighs the safety features! Thank you for your comment and wishing you a happy Thanksgiving as well! This looks like a really solid and reliable product; thanks for sharing! I had a look at the price point and it’s pretty high; do you think this is more than justified by the overall quality of the product? How long will this last? Sorry if you’ve already addressed this comment at any point! I notice as well that the description is of a ‘sewing’ Iron; how does this differ from a regular one? Is there any difference? Thanks again. I do agree, this is a solid and so far, reliable product and yes, it is priced rather high. That is the one aspect I wish the company would improve upon. I’ve had mine somewhere in the neighborhood of 2 years and have never any problem with it whatsoever. I have a friend who is still using hers after 5 years. This iron hasn’t been on the market too terribly long – maybe since 2010? (Something else for me to research!) so I’m not able to comment on it’s longevity beyond this 8 – 9 year time span. Regarding the difference between a “sewing” iron and a regular one – my guess it is again the automatic lift technology. For those who do a lot of sewing and quilting this auto lift feature is a huge time saver! This is one invention that has taken it’s sweet time making an appearance! If your friend does decide to buy I don’t think she will be disappointed! What a technology, Susan, wow! I mean I have used different irons since i was born into this 20 century, I have never come across an iron of this sort with all these technological advancement. The Auto-Lift Technology is still surprising to me since i have not used such an iron in my life. This is real safety indeed. Not like the irons I used to have some years ago that will burn your clothes if you make least mistake. I have one which even though doesn’t burn my dresses, I don’tr like the way it is. I often find it a challenge using it to iron my while cloth since it dirty them more often. This Auto-Lift Technology is just amazing to me. It is indeed a great improvement in technology as far as irons are concern. I’m just thinking about how to get one for myself. 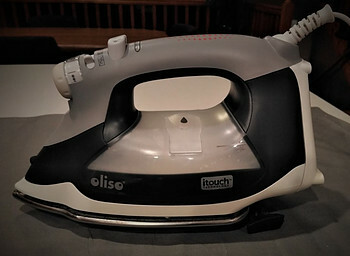 I surely need to include this in my budget because I need to get this Oliso iTouch Iron. I wish all companies who make irons incorporate this technology into their design, thereby making our irons very safe for use. Nevertheless, as I said, I’m surely going to add this to my budget and get one for myself. thanks a lot for sharing this useful information. 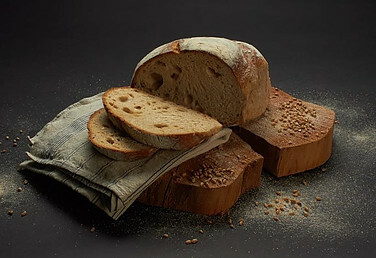 It was good i read this article. You opened my eyes to something new I have never come across in my life. Thank you for your comment and I’m so happy you found this information useful! I too have used many irons in my lifetime and I have to admit there was one I used in the mid 1970’s that was my all time favorite. Nothing fancy – just a simple iron you plug in, turn on and turn off. If GE could resurrect that same iron and add the auto-lift technology (and lowered the price!) I would be buying that as well!